Well dippity-do! Are you ready to ready to finish your 1950s hair-do? In the first post of this 3-part series on 1950s pin curls, you learned how to create pin curls on the sides. In the second post, pin curls in the front. Today's post provides five different diagrams that illustrate how to set your pin curls in the back for 5 different results. Short, thin neck: Pin curls in figure 536 will brush the hair up off the neck into a flare effect, giving the appearance of length and width. Long, thin neck: Pin curls in figure 537 produce an appearance of shortness and width. 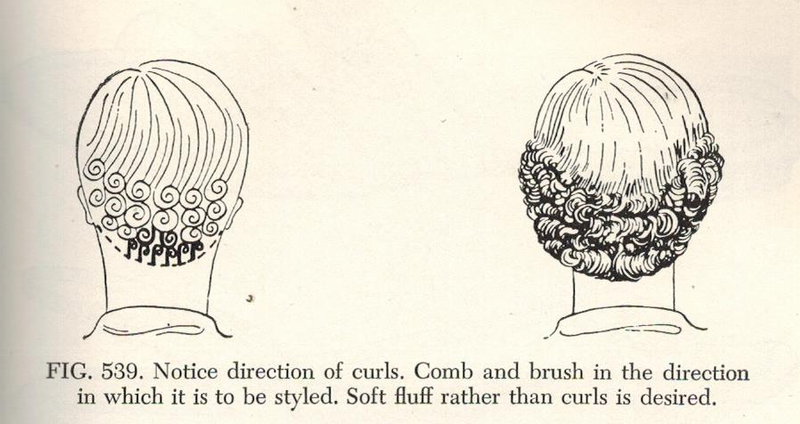 Short, fat neck: Pin curls in figure 538 produce short, swirled hair and vertical waves to achieve the appearance of length. The "masculine" neck: Pin curls in figure 539 help create a soft back with an oval effect. 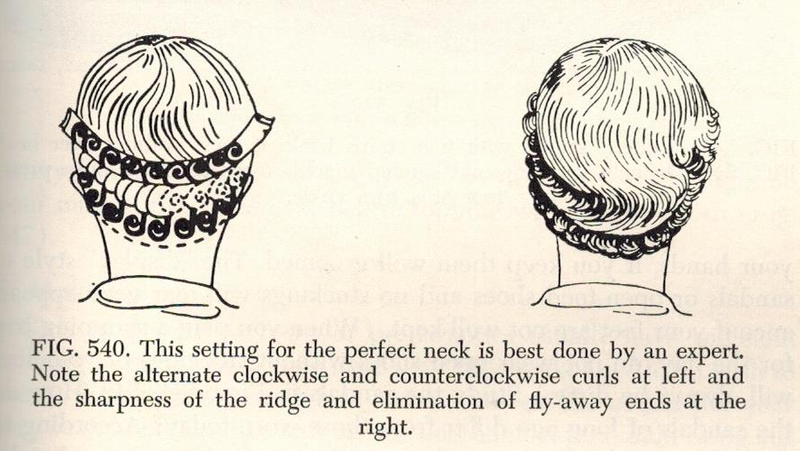 The "perfect" neck: One way to set pin curls in figure 540 for the perfect neck. The perfect neck can accommodate any type of back hair style - suit your self! What type of neck do YOU have? :D I'd love to know what constitutes a "masculine" neck. I'm not seeing a whole lot of difference in these illustrations.